Welcome to the Mama's Got a Brand New Babe giveaway event, hosted by Going Green with the Grizls and Sew Fatty! This event will run from April 24th - May 8th and we will finish off with a Twitter party on May 9th from 9-10 PM EST! Each blogger located on the linky below has put together an awesome prize suitable for either a new parent or baby worth a minimum of $25. =) Be sure to enter to win of TWO fabulous grand prizes!! Each prize is worth over $ and are made up of the perfect new baby and parent gift including prizes from an amazing list of sponsors including Boba, Gen-Y, Bamboobies, Kissed By the Moon, and Bummis! Be sure to attend the Twitter party on May 9th from 9-10 EST to participate in the live drawing for the grand prizes. There will also be special prizes specifically for the Twitter party. You must tweet at least once during the party to be eligible to win. Today for my giveaway in the Mama's Got A Brand New Babe Giveaway Event, I am excited to share with you Lil Beautique, a wonderful little Etsy shop featuring chic baby gear for your little one!! They offer blankets, burp cloths and bibs, changing mats and more in a variety of fun, cute prints! For this review, I was sent my choice of blanket from their shop! What a tough decision- there are so many adorable options (for both boys and girls) that I loved...but I decided to go with the pink chevron with white minky. How absolutely gorgeous is this? 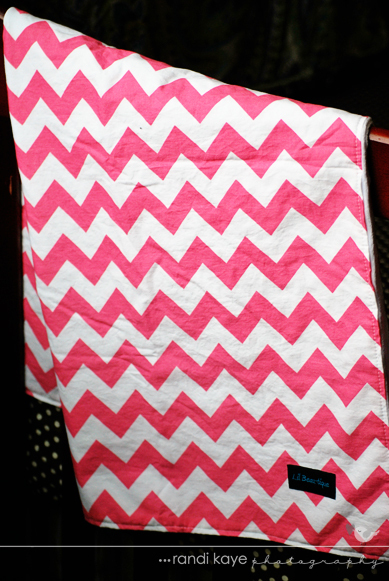 I love chevron...and pink, so this was just perfect for our baby girl. When it comes to blankets though, while we do love the cute ones the most important thing is comfort right? Well, this passes that test as well (approved by both myself and my husband). The minky material on the backside is so ridiculously soft even I wanted to cover myself with it...and my husband actually did! (Silly husbands!) I know once baby girl gets here, she'll be nice and comfy wrapped up in this blanket and I can certainly see this becoming a favorite of ours! Everything from the Lil Beautique is handmade by shop owner, Anna. Not only does she have a large selection of items listed in her shop, she also accepts custom orders...so you can truly have a one of a kind blanket for your little one! She even offers embroidery for a small additional charge, making it a great gift and keepsake blanket as well. And the quality is wonderful...as I said, the fabrics are super soft, but high quality and absolutely flawless. Honestly, there isn't any con that I've found with this blanket...unless the fact that it's not adult size is considered a con!? I've mentioned in previous reviews that I also love when items come nicely packaged. Again, I know this doesn't change the product itself anyway, but I love the extra special touch and thought that goes into it. 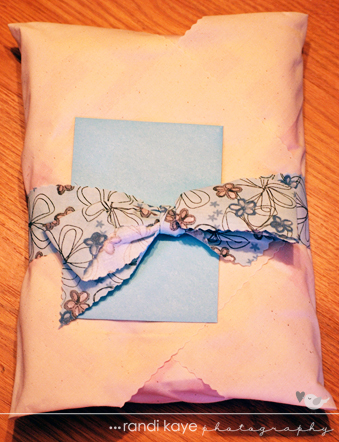 The Lil Beautique did not disappoint, coming wrapped perfectly, ready for gift giving! I love it! Overall, I loved our Lil Beautique Blanket and highly recommend this adorable little shop for anyone looking for a unique, handmade gift for the expecting mommy in their life...or to the mommy who wants something fun and unique for her little one! You will not be disappointed!! I love the Minky Owls and Trees blanket, especially the little snails also in the design. So cute! I really want a minky blanket! SO SOFT! The Minky black and yellow bird blanket is wonderful! 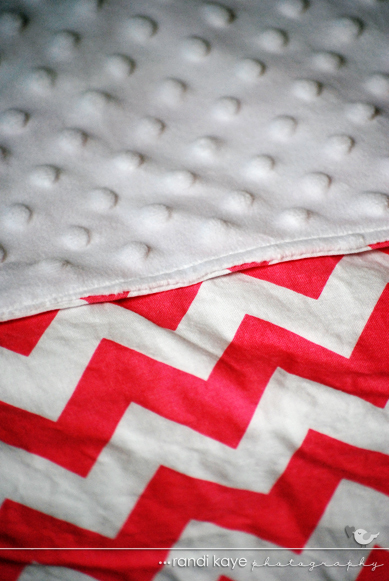 I love the Baby Blanket, Damask, Black and Hot pink, Hot Pink Minky, so pretty! I love the elephants burp cloths! I think I would want a baby blanket in that print, it's gorgeous! I'd like to win as a present for my friend who is having her first in Dec. I'd like to win this because we have a baby boy arriving soon--this would be adorable for him! I really like Baby Boy Onesie with Argyle Bow Tie and Suspenders... especially the bow tie! I like the red whale blanket. Beautiful products and super fun prints!